Stripy Honey … is very yummy! 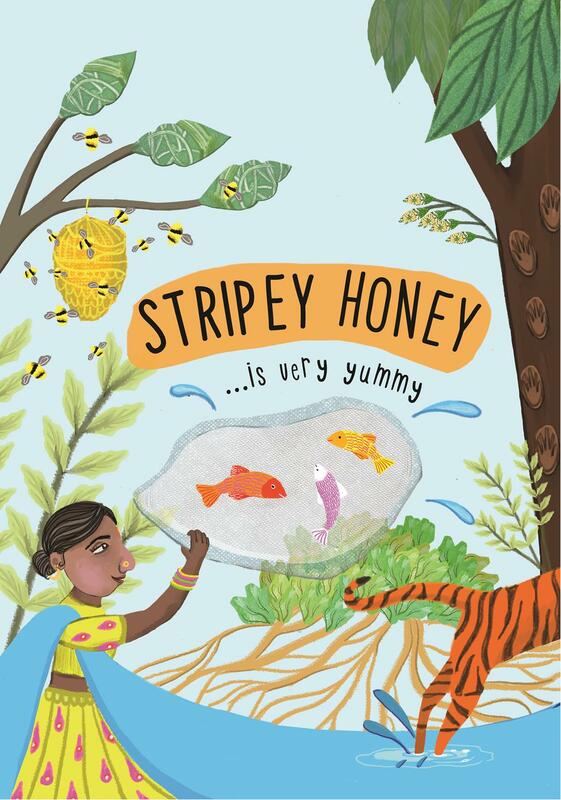 is a touching and funny story of how tigers, bees and honey collectors learn to live and play together. Adventure into the Sunderbans, the land between India and Bangladesh, the home of the Royal Bengal Tigers and Honey Bees, as Mashi takes you on a playful journey into the jungle to discover how the tigers and honey bees struggle for survival. As fisher-women leave their boats on the river to collect honey, they keep a look out for roaming tigers, with fierce masks on the backs of their heads as their only protection. Journeying into the jungle, they climb high into the trees to collect some honey from the giant bees,but what happens when the tigers lend them a paw? Mashi brings a new play to young audiences of adventure and fun with music by award-winning composer Arun Ghosh, song, dance and puppetry, exploring the lives of some of our most precious but endangered species, who unite to save their homes.